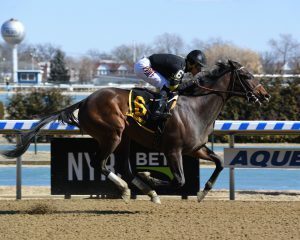 Durkin’s Call, a recent private purchase by Wachtel Stable, Peter Deutsch and Christopher Dunn, proved his mettle for his new connections Sunday at the Big A when he made his stakes debut in the $100,000 Gander Stakes for New York-bred 3-year-olds. Sent off as the even-money favorite, the Jump Start gelding rallied from off the pace and found another gear in the stretch to win by more than seven lengths going away. 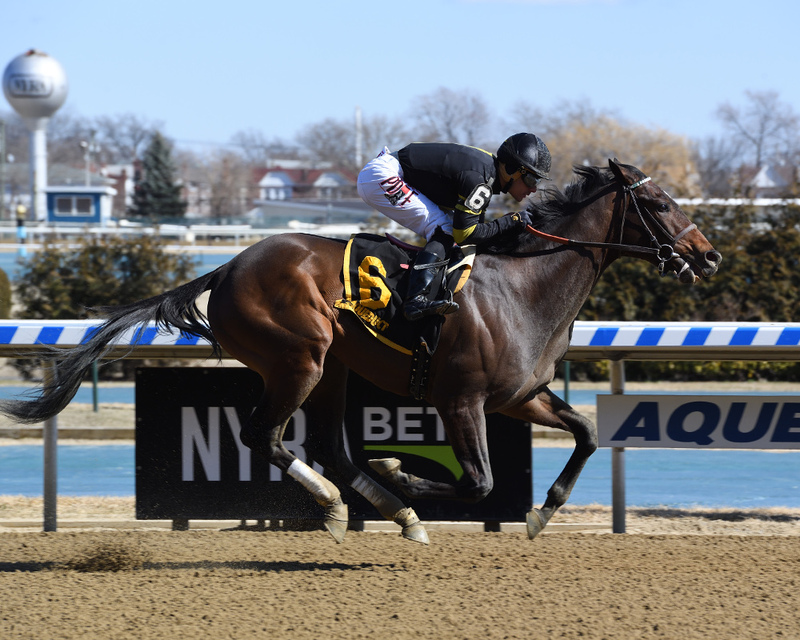 Breaking cleanly from his outside post under Junior Alvarado, Durkin’s Call raced along the backstretch and into the turn well off the fence while trading third and fourth position with Kadens Courage. Four lengths ahead, Kosciuszko set the pace, pressed along by Pipes through an opening quarter mile in 23.84 and a half in 46.87. Traveling three deep around the far turn, Durkin’s Call advanced into second as six furlongs went by in 1:12.01. 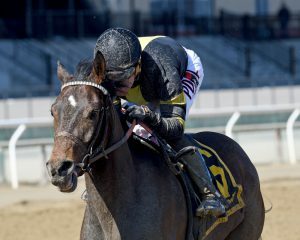 According to Mott’s assistant Leanna Willaford, after Durkin’s Call relocated from trainer Mike Trombetta to Bill Mott’s barn when he changed hands, he built on a strong foundation and adjusted nicely. Unplaced in his first four races at two, including two grass starts, and dangled once for a $50,000 tag at Saratoga, Durkin’s Call shipped to Laurel to break his maiden, where he aired by more than eight lengths going one mile. After that initial win, he hasn’t run a bad race, finishing on the board three times in three starts, all the while racing in open company. In his previous start on February 1 he won an optional claiming/starter’s allowance contest at the same trip as the Gander. Bred by Richard Zwirn, Kay Zwirn and Richard Golden, Durkin’s call was purchased by Trombetta for only $4,000. The stakes winner has now earned $142,325 from three wins, a second and a third in nine starts. The gelding’s dam is Feelin Abit Frisky, a winning Kentucky-bred daughter of Posse, who has produced three winners from three foals to start. She has a yearling colt by Strong Mandate and was bred in 2018 to Tu Brutus (CHI).